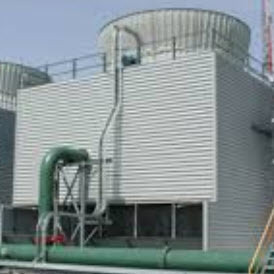 Cleaning of large amounts of cooling towers in Melbourne Australia were undertaken after Victoria’s Department of Health and Human Services confirmed the outbreak in the Central Business District. Just a few months ago there was discussion about many of Melbourne’s new apartment buildings posing a legionella bacteria risk due to their energy-efficient “warm water” systems. Palisades Nuclear Power Plant, which according to WBFO has divided some residents in the area of Van Buren County in Michigan over its proposed closure, is replacing a cooling tower over the next 3-4 months. While the plant may be closing down, maintenance and upkeep will continue to be an ongoing job for quite some time. Decommissioning and cleaning up a nuclear plant can take over 50 years. The Michigan Public Services Commission will host several public meetings in May before deciding on the final outcome of the plant. Economic impacts may be hard on some of the surrounding communities as the plant employs over 130 people. « Is Your Cooling Tower as Safe as You Think?